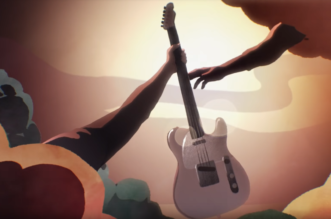 Fender is celebrating the 60th anniversary of its iconic Jazzmaster guitar with three new limited edition models: the 60th Anniversary ’58, Classic and Triple Jazzmaster guitars. An homage to the original prototype of the guitar, the 60th Anniversary ’58 Jazzmaster accurately recreates the look and feel of the original 1958 prototype, which had an offset waist, distinctive-sounding pickups, a flexible rhythm/lead circuit and was the first Fender guitar to sport a rosewood fingerboard. The Limited Edition 60th Anniversary ’58 Jazzmaster is offered in 2-Color Sunburst. The Triple Jazzmaster features a modern, triple-pickup and is an homage to the mod ethos. 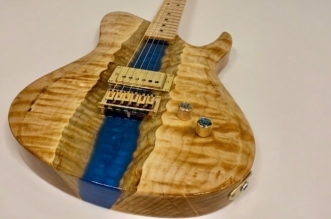 The guitar also features brand-new humbucking pickups from pickup guru Tim Shaw, and is offered in Daphne Blue. The Classic Jazzmaster is a reproduction of the 1966 Jazzmaster, which at the time, was updated with a bound neck, block inlays and, as a special aesthetic touch, a matching painted headstock. 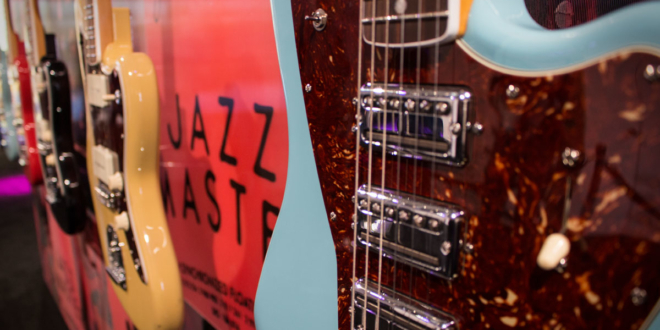 The Limited Edition 60th Anniversary Classic Jazzmaster is offered in Daphne Blue, Black, Vintage Blond and Fiesta Red. The Limited Edition 60th Anniversary ’58 Jazzmaster is available now, while the Triple and Classic Jazzmaster will be available this September. 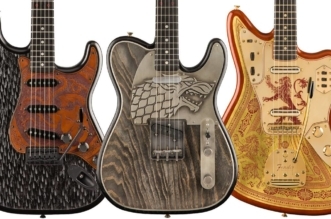 For more on the guitars, head on over to fender.com.